Check out our events at PETE&C 2019, February 10-13. What are the membership levels as of January 1st? This applies to undergraduate students in PAECT chapters. Institutional memberships are no longer available. PAECT Premium Membership offers a wide range of benefits (see below). We are pleased to offer our current membership level as premium membership without changing the current fee. Effective January 1, 2019, PAECT Standard Membership is free and the Premium Membership is $35.00 per year. Artificial Intelligence has quickly and quietly embedded itself into our everyday life - security, education, social media, politics, agriculture, and more. The future of work, and maybe humanity, will no doubt be impacted by AI. 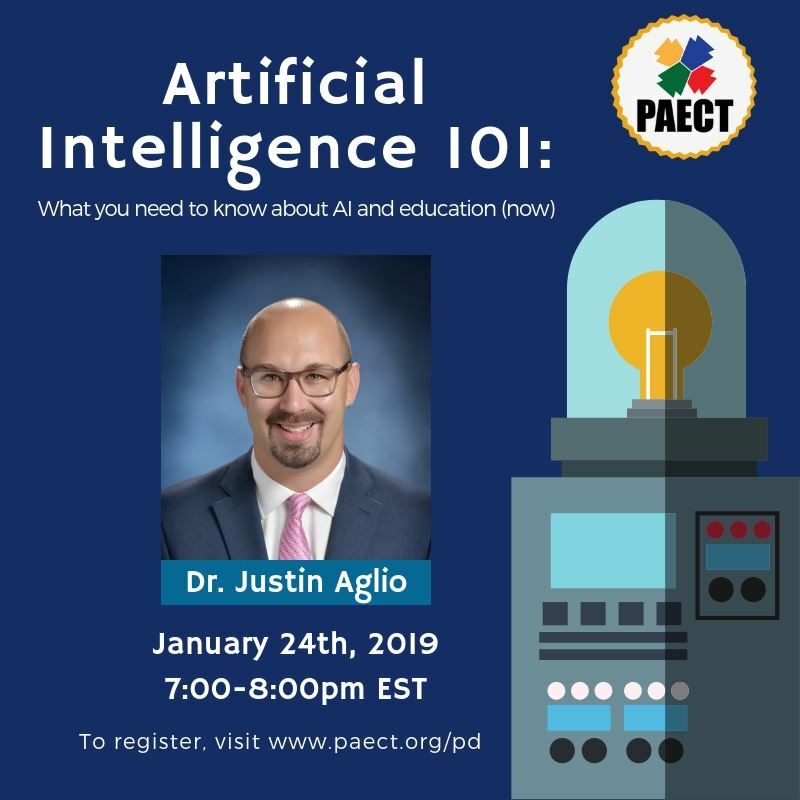 Dr. Justin Aglio will walk attendees through the basics of modern AI as well as share examples that emphasize how one school has moved beyond change to empower students and teachers to be designers of the future through AI.